Hot mix asphalt is a flexible pavement that is widely used for its convenience. From patching potholes to paving roads, asphalt paving can suit a variety of construction project needs. But did you know that there is more than one type of hot mix asphalt? Concrete suppliers offer a variety of hot mix asphalt (HMA) types for specific project needs. And of these types, there are three common types that serve important uses. To help you figure out which type of asphalt you need for your next project, consider the following information on the most common types of HMA, along with other concrete products available. To ensure the asphalt maintains its temperature and workability when pouring, order hot mix asphalt from local concrete suppliers who have a plant nearby. Prepare the surface before placing the asphalt. Depending on the type of project, you may need to remove old pavement first and mill the surface so the new layer of asphalt will have a better grip on the surface. We’ve discussed tips for prepping the surface and patching potholes in the past, which you can check out here. Milling the surface also maintains proper drainage for the road surface by allowing water to flow effectively to curbs and gutters. Once poured, the asphalt must be compacted while it’s still hot. Pneumatic and steel rollers often provide the best results. And before finishing the asphalt pavement, check its density to ensure it can handle the load of traffic. Dense-graded mixes of HMA are the most common type of HMA and are ideal for general uses. This well-graded HMA is impermeable so water will run away from the surface area. These mixes are classified by their nominal maximum aggregate size and can be either fine-graded or coarse-graded. Fine-graded mixes have more fine and sand particles than coarse-graded mixes. The mixes contain well-graded aggregate, asphalt binder with or without modifiers, and reclaimed asphalt pavement (RAP). Dense-graded mixes work well for all pavement layers and traffic conditions, as well as for patching, leveling, friction, and structural projects. Stone matrix asphalt (SMA), also known as stone mastic asphalt, is a gap-graded HMA. It was initially developed to increase durability and rutting resistance. The purpose of the mix design is to have stone-on-stone contact in the mix. This contact reduces rutting because aggregates do not deform under load as much as asphalt binder. SMA has less severe reflective cracking. And the coarse surface texture also provides friction in wet weather and reduces tire noise. Compared to most dense-graded HMA, SMA requires a higher asphalt content, more durable aggregates, modified asphalt binders, and fibers, often making it more expensive. Mineral fillers and additives are also used to improve durability. While more expensive, SMA is considered a cost-effective HMA due to its rut resistance and durability. SMA is mostly used for surface courses on high-volume roads and highways. However, it can also be used for a number of road and driveway projects. Unlike the other two types of HMA, open-graded mixes are designed to be water permeable. These mixes use only crushed stone or gravel, a small amount of manufactured sands, and asphalt binder with modifiers. Open-graded friction course (OGFC), which is typically 15 percent air voids and no specified maximum air voids. OGFC is only used for surface courses. It tends to have a smoother surface than dense-graded HMA, and it reduces tire splash in wet weather due to its permeability. The air voids also reduce tire noise by up to 50 percent. Asphalt treated permeable bases (ATPB), which is only used as a drainage layer under Portland cement concrete, SMA, or dense-graded HMA. RAP is a recycled construction waste product. It keeps waste out of landfills, saves on production costs, and reduces the environmental footprint of asphalt. RAP is used for a variety of construction projects, including roadways, pathways, and construction fill for city infrastructures. Porous asphalt is permeable, like the open-graded mixes mentioned above. It is used in parking lots to allow stormwater to drain through the pavement. As a result, it reduces the amount of toxic stormwater runoff that ends up in waterways. Stormwater runoff from roads and parking lots is filled with chemicals that contaminate freshwater sources and harm ecosystems. But by filtering through porous asphalt and the soil below, these contaminants are less likely to reach our waterways. Named for its durable, long-lasting qualities, perpetual pavement combines asphalt with a multi-layer pavement design process. The installation of perpetual pavement is not time-consuming, nor will it disrupt traffic. Like hot mix asphalt, warm mix asphalt is heated during the production process. However, the temperature of warm-mix asphalt is 10 degrees Celsius to 38 degrees Celsius lower than HMA, hence being warm and not hot. 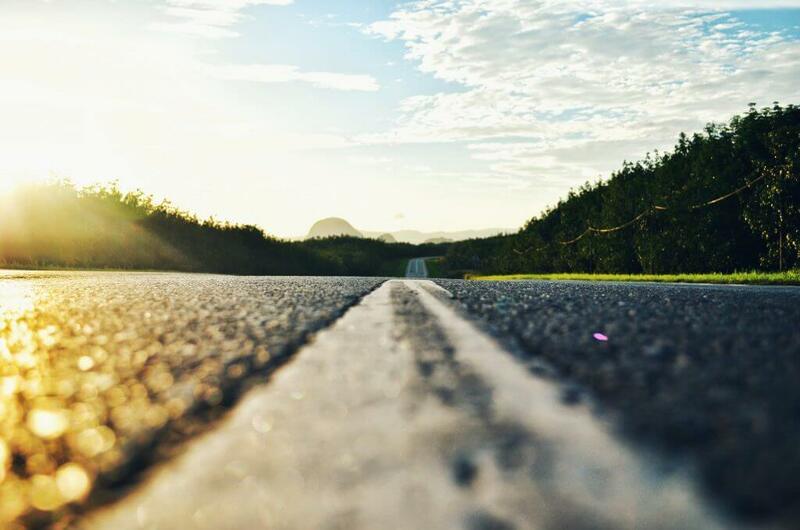 The notable benefits of using this asphalt include reduced fuel consumption and greenhouse gas emissions. Thin overlays are often created by combining warm mix asphalt with recycled materials. Thin overlays improve the life-cycle costs of pavement and reduce pavement distress. This pavement also improves ride quality for drivers and reduces noise levels. As you can see, there are many types of asphalt available to suit various project needs. For more help deciding on the best type for your project, contact your local asphalt and concrete suppliers. They can even deliver and pour your asphalt on site, helping to maintain its temperature and quality throughout the process.